Gov. Jeff Colyer said Kansas will continue to push to impose a work requirement on Medicaid recipients. 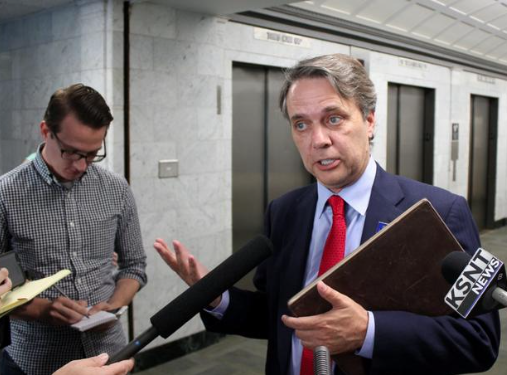 Despite the setback, Colyer said his administration will continue discussions with federal officials about requiring some of the more than 420,000 Kansans enrolled in KanCare, the state’s privatized Medicaid program, to work or pursue job training. “I remain strongly committed to incentivizing self-reliance through work,” Colyer said in an email to the Kansas News Service. “Instead, such mandates are costly and punitive, wasting millions of dollars to create bureaucratic obstacles and ultimately covering fewer people,” Weisgrau said. A recent study by the Center for Budget and Policy Priorities, a left-leaning nonpartisan research organization based in Washington, D.C., found that Medicaid work requirements could be counter-productive. Forcing Medicaid recipients into low-wage jobs, the report said, would leave many ineligible for Medicaid but unable to afford private coverage. In the final weeks of the 2018 legislative session, Kansas lawmakers approved a budget proviso that allows the Colyer administration to continue negotiating with federal officials. But it prohibits state officials from implementing a work requirement with legislative approval. Jim McLean is managing director of the Kansas News Service. You can reach him on Twitter @jmcleanks.